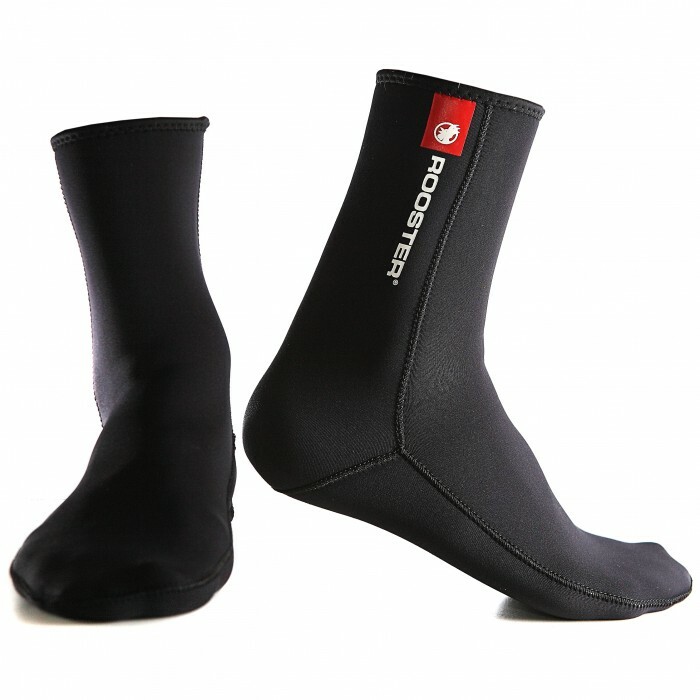 SuperStretch Neoprene Wet Socks - Keep your feet warm! Now stretchier and softer than ever which allow these socks to span several shoe sizes. This makes it easier for you to find the correct size for your foot and a closer fit means warmer feet! Featuring glue and blind-stitch construction to prevent cold water flushing and help keep your feet warm, along with a comfortable seam layout designed to maximise comfort when sailing. SuperStretch Neoprene Wet Socks - Keep your feet warm! Now stretchier and softer than ever which allow these socks to span several shoe sizes. This makes it easier for you to find the correct size for your foot and a closer fit means warmer feet! Featuring glue and blind-stitch construction to prevent cold water flushing and help keep your feet warm, along with a comfortable seam layout designed to maximise comfort when sailing. They are a must for hiking comfort and just toasty if you are trapezing. We think this will be the most comfortable pair of wet socks you will ever own! The Size Chart shows the suggested size for each of these socks, allowing you to pick the one your require. Laundry instructions We recommend hand washing in warm soapy water and allowing to air dry.